secondary processing, assembly to delivery. 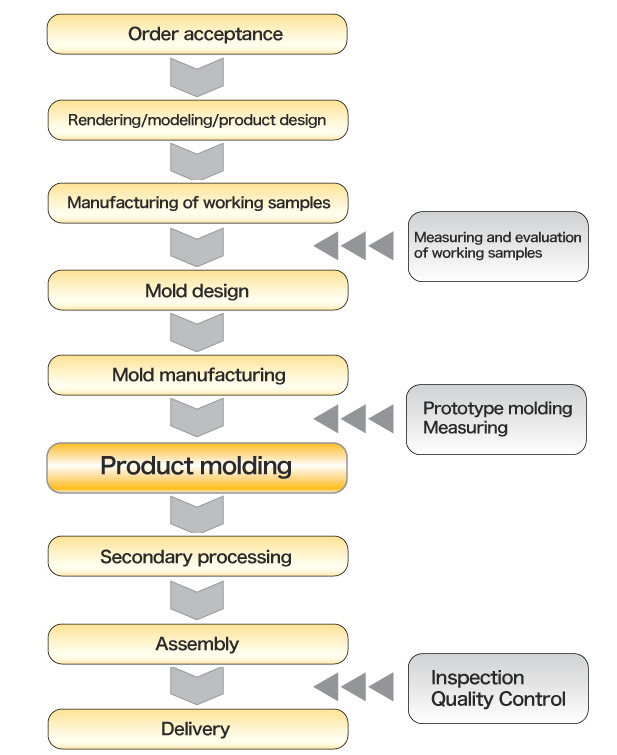 The mold manufacturing has been expanded not only in Japan but also overseas (Taiwan, China and Korea). We can propose gate position and runner, etc. by conducting flow analysis during mold design. We are equipped with various CAD software and many formats are available. Copyright(C)2011　NAKAHARAJYUSHI CO.,LTD　All rights reserved.